Ever since Josefina Leon was a young girl, she’s wanted to be a teacher. When she learned about an education professions class at Greenway High School, she took the opportunity to learn from a master teacher and work with students in several classrooms. 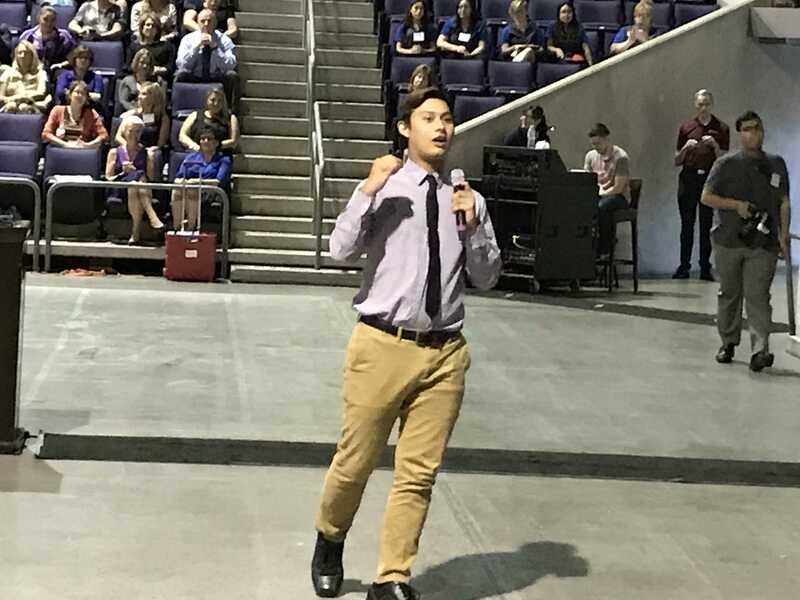 Leon is one of the more than 520 Arizona high school students considering becoming teachers who learned more about what it takes to succeed in the classroom at the recent Educators Rising Arizona Fall Leadership Conference at Grand Canyon University. Educators Rising is a national organization for students who are aspiring to be teachers and their professional mentors that offers resources and opportunities for career and technical education courses starting at the high school level. It provides students hands-on teaching experience in early education and education professions. 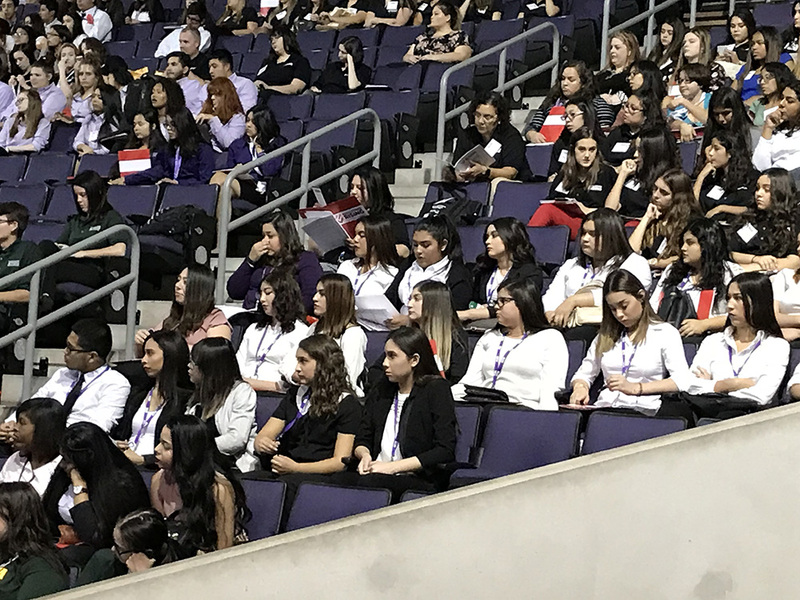 More than 2,400 schools and 35,000 students have joined the organization, and about 51 percent of student members are students of color, a close reflection of Arizona’s school-age population. In their career and technical education classes, students learn about teaching, preparing lesson plans and lead classes for younger students as well as prepare for state competitions. “I didn’t realize how much teachers actually prepare for each lesson. I thought it was like, ‘OK, I’m going to talk about plants today,’” said Yajaira Figueroa, vice president of media relations for Educators Rising Arizona and a senior at Greenway High School. 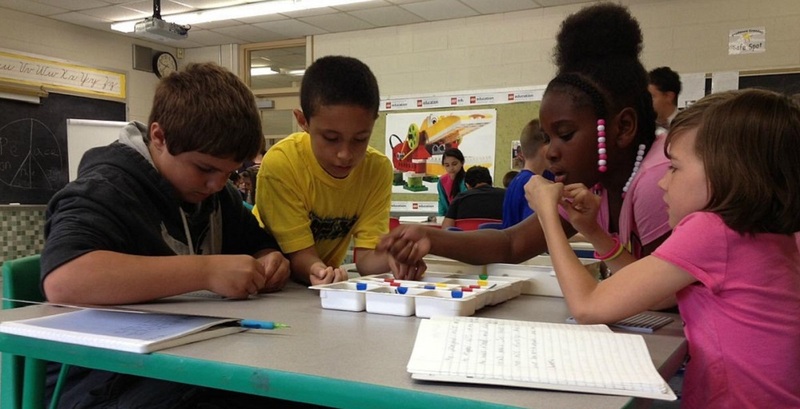 When Figueroa created a lesson plan on the planets for a second-grade science class, she said she realized just how much preparation teachers put into their instruction – learning about the subject in depth, finding answers to questions students might ask and creating an engaging lesson that meets state standards. 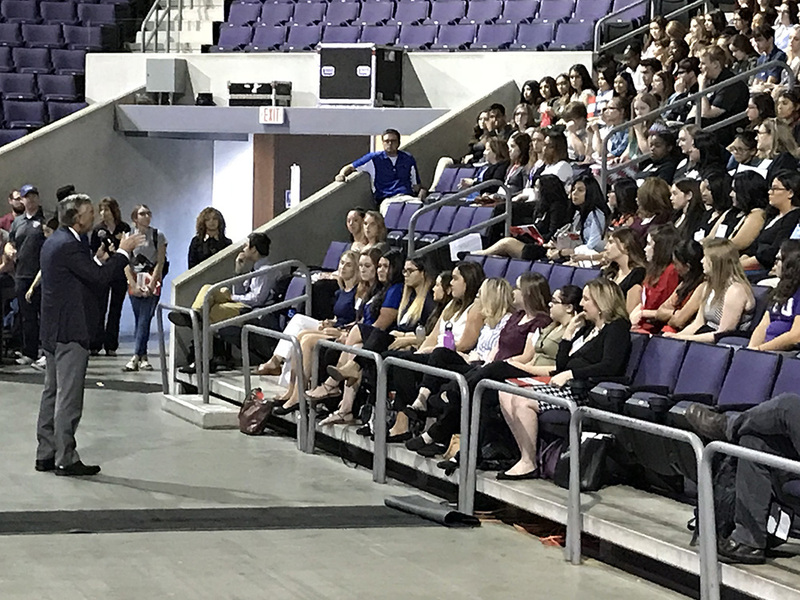 While some people teach for their entire career, others take the skills they learned in the classroom to succeed in another field, said Dr. Brian Mueller, president of Grand Canyon University at the conferences’ opening session. “There is no better position in life in my opinion that prepares people for leadership roles like teaching,” Mueller said. “If you have to get up in front of 30 16-year-olds every single hour, six times a day, five days a week for 14 years, over time, you get great confidence in your ability to lead people, to communicate effectively, to be persuasive, and to get people to come together and act as one – that’s what classroom teaching is,” Mueller said. Next students were told to celebrate their successes and learn from their mistakes by Lennon Audrain, an Arizona State University education major who also teaches Latin part-time at St. Gregory Catholic School in Phoenix. The key is to learn from what doesn’t work, seek help from experienced teachers, improve your teaching every day and celebrate your students’ accomplishments, Audrain said. 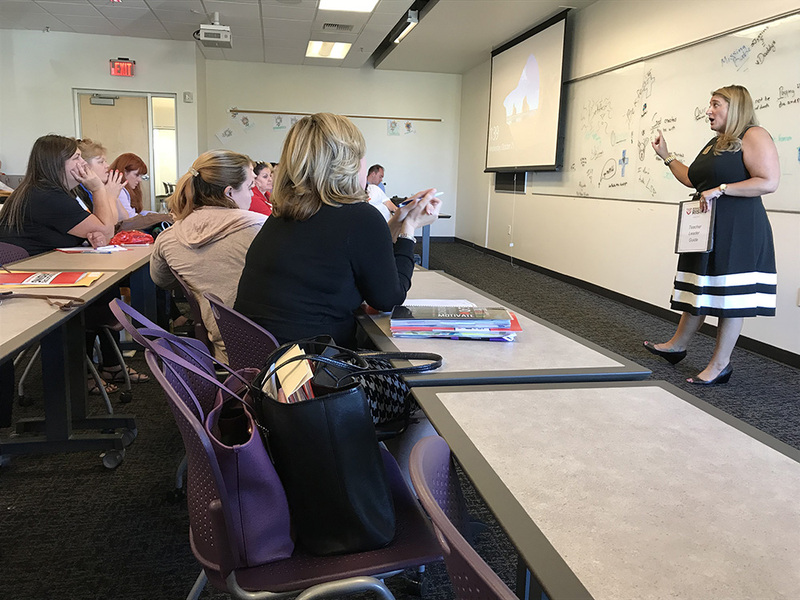 Afterwards, the aspiring teachers from 30 high schools across Arizona and their teacher leaders attended breakout sessions on topics ranging from disabilities in the inclusive classroom to culturally responsive teaching. Attendance at the conference doubled this year. “We have some really dedicated teacher leaders at the schools and they’re just amazing,” said Dr. Lisa Mayberry, state advisor for Educators Rising Arizona. 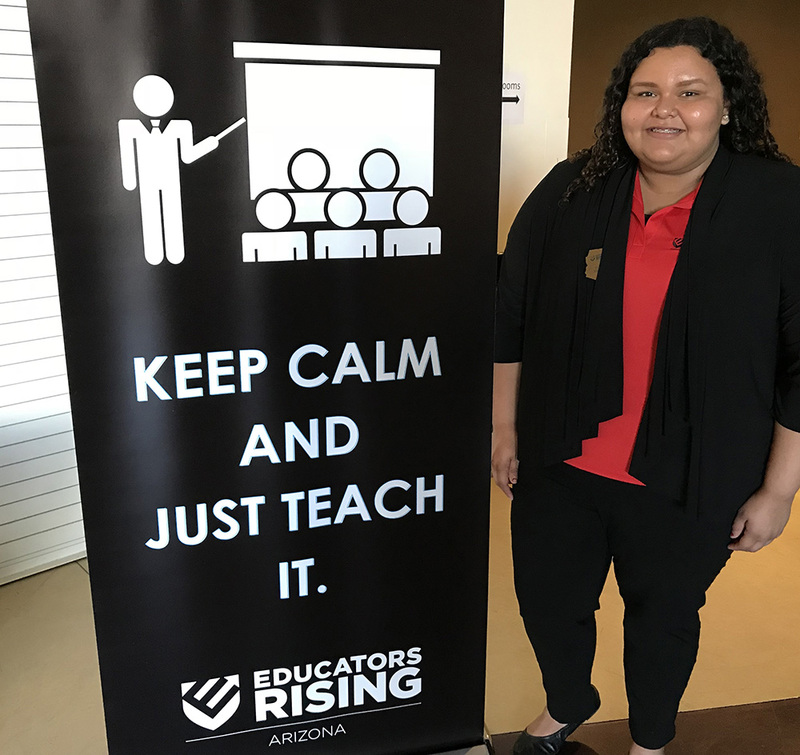 Each year more students are signing up for the Educators Rising class at Mountain Ridge High School, said Ebony Burnett, an Educators Rising teacher leader from the Deer Valley Unified School District. 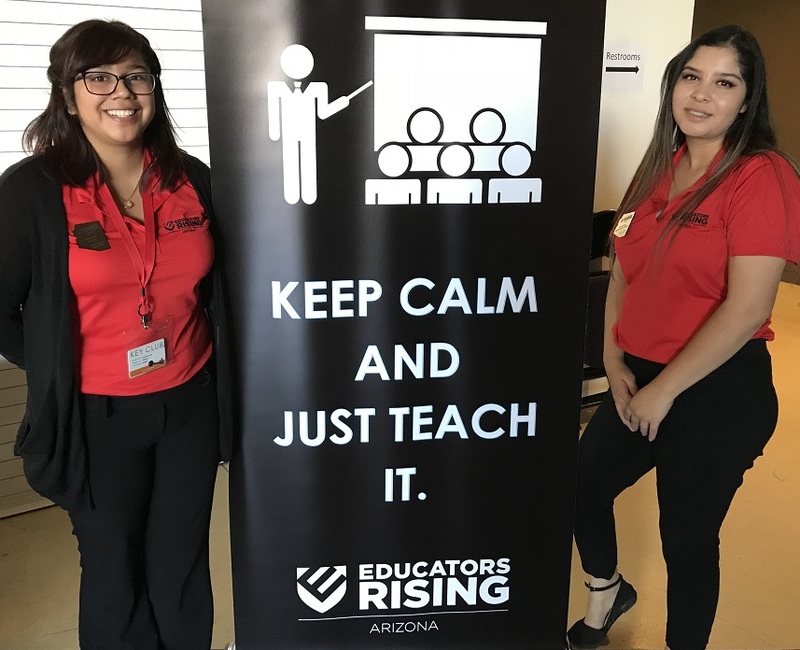 “Even if you don’t feel that you’re going into the education field, the skills that you learn and develop in class will help you in other professions,” said Carolina Melendez, vice president of training and development for Educators Rising Arizona and a senior at Metro Tech High School in the Phoenix Union High School District. For some students, like Figueroa, teaching moves from a back-up plan to their main focus. Figueroa said she originally wanted to work as a translator in the court system, but after learning more in her teaching class, she now would like to teach students in kindergarten through third grade. 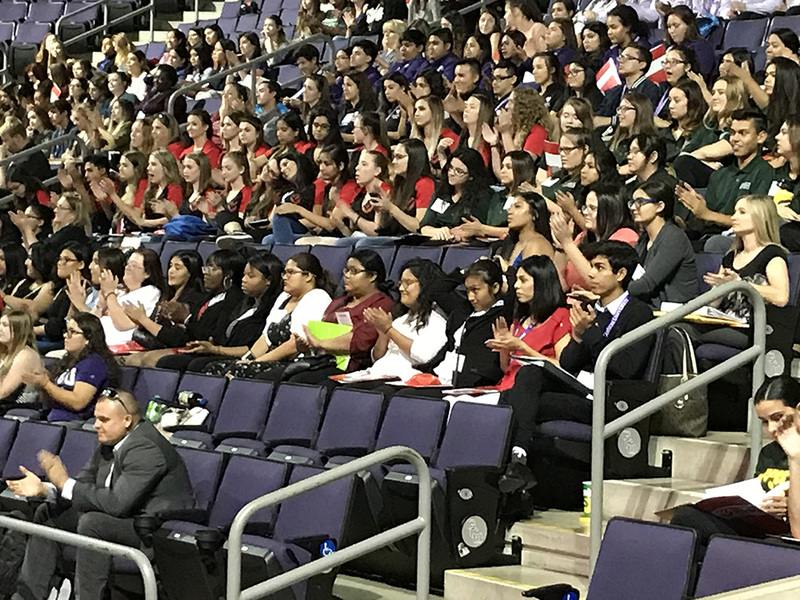 Mayberry also attributes the increased interest in Educators Rising to word getting out about an increase in the number of scholarships associated with students’ individual competitive events at the State Leadership Conference held in Tucson from March 5-7. “We’ve partnered with Northern Arizona University, Grand Canyon University and the Arizona Department of Education, and we’re still working on some more,” Mayberry said. For example, scholarships range from $1,000 from ADE for the spotlight on special education competition to up to $7,000 from NAU for the career and technical education lesson planning and delivery event. Students who place at the state conference are eligible to compete at nationals in Florida. “There are some competitions where you have a scenario and you have to solve that problem. 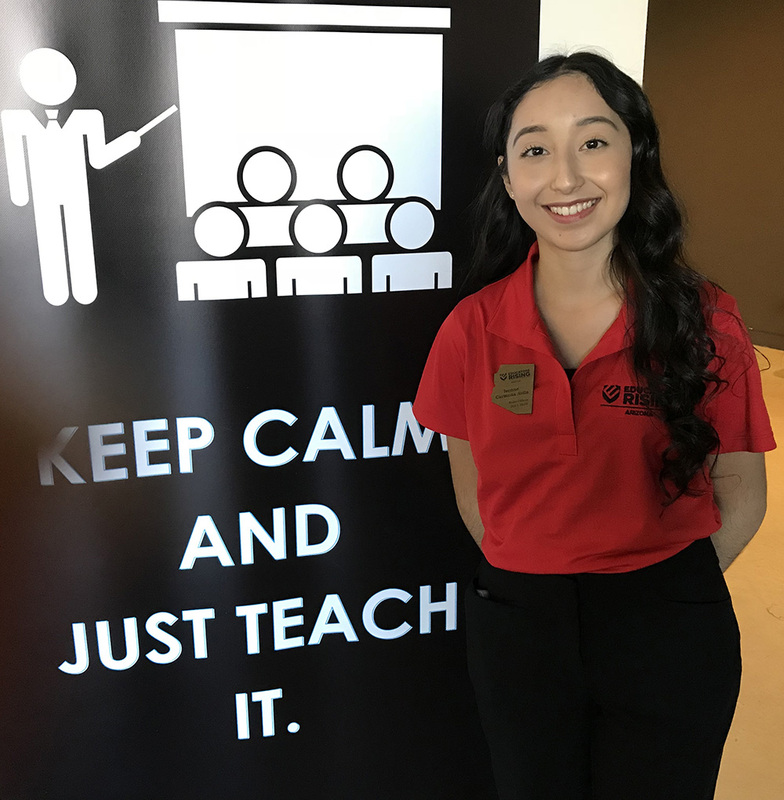 For example, your teacher didn’t show up and you have to come up with a lesson plan in 15 minutes and present it to students,” said Ivonne Carmona Avila, vice president at large for Educators Rising Arizona and a senior at Washington High School in Phoenix. The scholarship opportunities drew Melendez to Educators Rising. 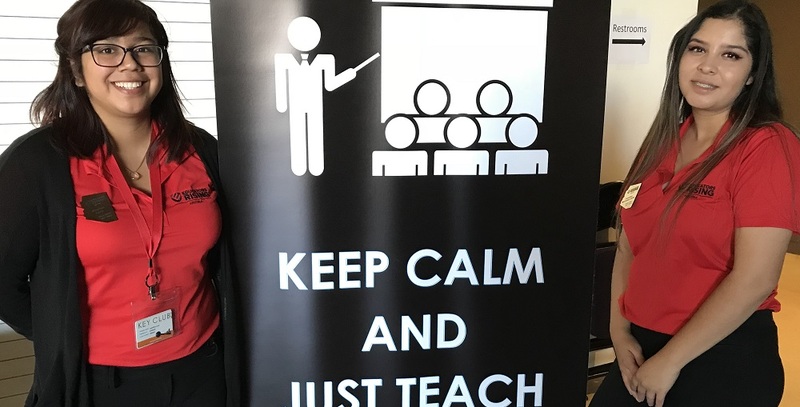 Tania Gray, an Educators Rising teacher leader at Lake Havasu High School, said when her students went to the state conference last year “the level of competition was much higher than what they expected” and none of them placed, but they learned a lot from the other students and are eager to compete this year. In the future, Mayberry said she would like to develop a tracking system to see how many Educators Rising students major in education in college, become teachers and where they go in the field over time. 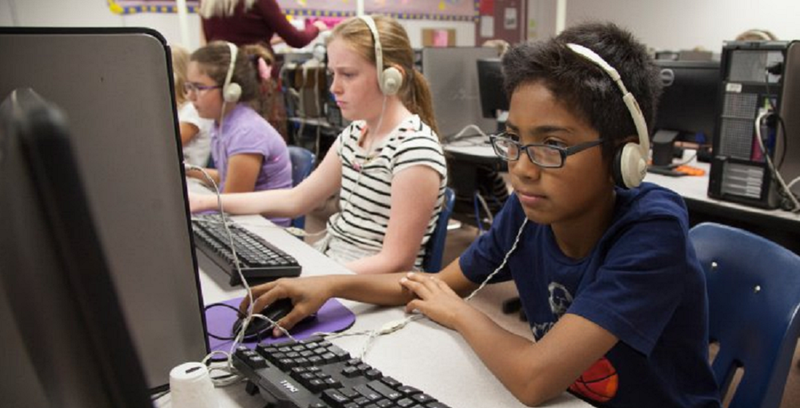 Arizona’s low national rank in school funding and teacher pay does not deter these students. “There will be improvements in these things, but we’re just not going to see it quickly. It’s going to take time,” Melendez said. But Carmona said that Educators Rising has shown her that she really wants to be a teacher.